1. Put the sultanas, raisins and currants in a large bowl. Use seedless raisins or stone them first. 2. Stir in the breadcrumbs. 3. Sift the flour and stir in the sugar and mixed peel. 4. Peel, core and grate the apple into the bowl. 5. Add the shredded suet with the beaten eggs, the spices and salt and mix very well to a soft consistency with milk. 6. Turn the mixture into two 2lb pudding basins and cover each one with greaseproof paper. Cover with foil and tie on the coverings. 7. Boil the puddings for 4 hours, replenishing the pan with more boiling water as it evaporates. 8. On the day, boil or steam the puddings for another 2 hours. Serve with custard. 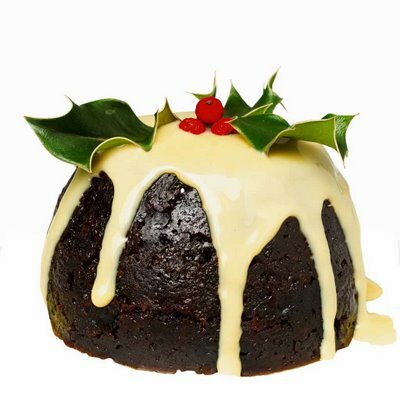 Cooks Tip: If possible, keep the puddings for 4-6 weeks before eating. This entry was posted in Baked Goods, Desserts. Bookmark the permalink.